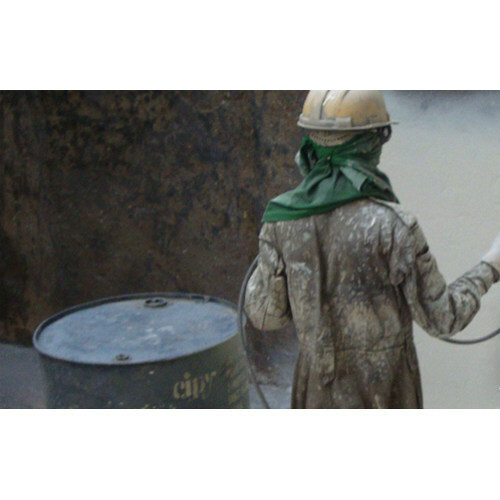 With phenomenal market understanding, we are able to introduce an extensive range of Spray Applied Polyurethane. The polyurethanes are developed using solvent-free elastomeric urethane coating. The solvent is fast setting polyurethane lining extensive uses in thermal power cooling towers, pipe lines, water and waste water, amusement parks, buried tanks, and mounded bullets. Our engineering concepts applied on the surface and walls to help it become highly durable along with wear and tear resistance. Roots of "Cipy Polyurethanes Private Limited", the industry leading Manufacturer and Supplier of Coating and Flooring Products, are established in year 1976. We are instrumental in leveraging the industrial heritage of leadership to broaden our product portfolio, which comprises of leading quality Industrial Flooring, Industrial Coating and Industrial Leveling. The offered flooring solution is specially engineered for excellence in floor protection as well as decoration and widely demanded for its remarkable glossy appearance, high impact strength, good flexibility, excellent wear resistance and longer life span. In addition of this we are offering Installation and AMC Service for these products. Owing to the legacy of engineering excellence we are able to implement the highly advanced polymer hybrid technology to bring forth the self leveling flooring. The excellent toughness and superior resistance to chemicals made our product range viable for rendering exceptional performance and hygiene at clean rooms, bakeries, dairies, health care, food processing and pharmaceutical production areas. Moreover, the well acclaimed performance and decorative finish of the floorings made us the preferred entity. We take pride of our quality vigil during the entire production stage and commitment towards ethical business policies that made our brand synonymous to trust across the country and at our exporting countries.